I have this love for clocks. 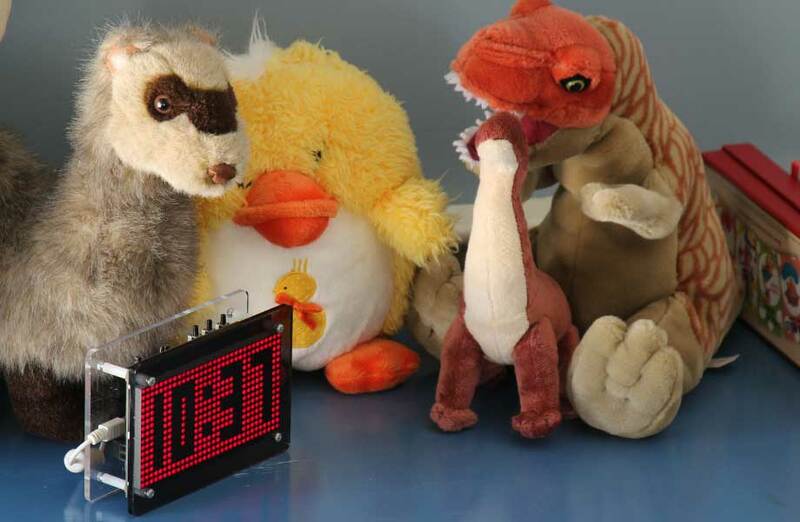 Actually to be precise I have a love of hackable clocks. There's something pretty cool about the wide diversity of a device that has a simple task. For me it's geeky artwork. It's a science experiment that you get to use daily. I love the idea of being able to put electric components together like Legos to solve a problem. Luckily, even for those of us who don’t have the aptitude for electrical engineering there is the Arduino platform. Not that Arduino frees you from the electronics, it just makes it a lot easier. 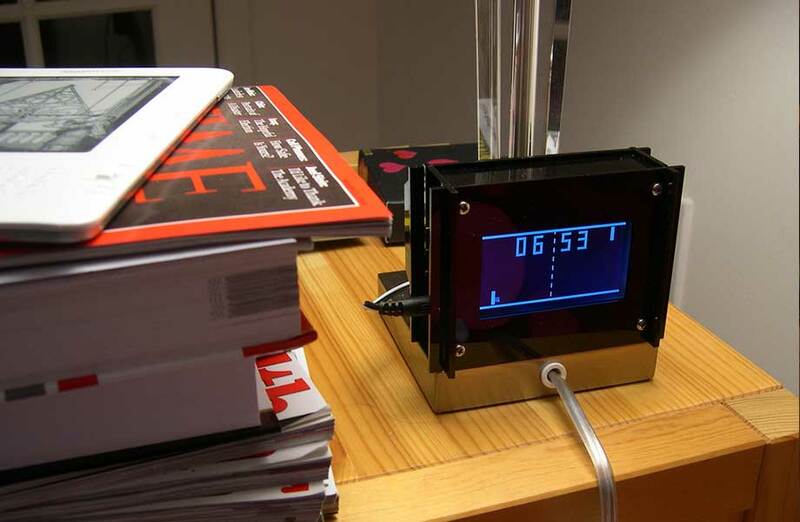 So it’s not surprising that most “hackable” clocks use some kind of Arduino compatible micro-controller. 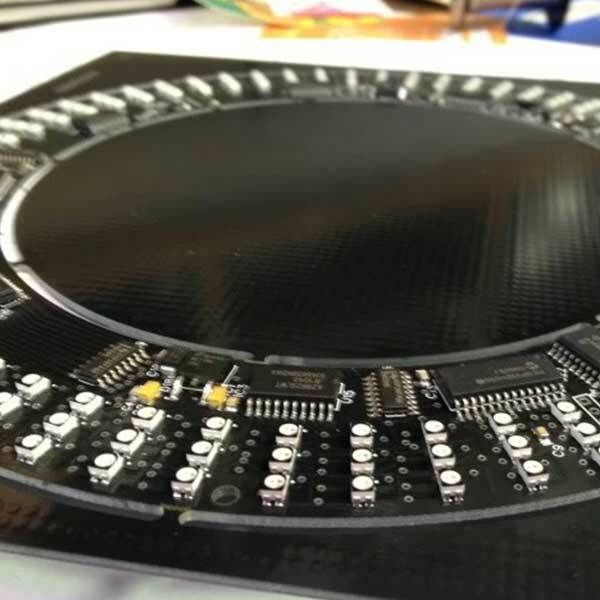 The Monochron is billed as a “you build it” pong clock. Visually the clock plays pong. The right side wins once a minute, the left side once an hour. The score then happens to be the score. Monochron is hackable though, it contains an Arduino compatible microcontroller an a 128x64 monochrome LCD display, so if I ever got bored I could rewrite the clock to do whatever I wanted. With both the Monochron and the ClockOS (below) I didn’t mess with the programming of the clock. The Zee Clock actually had a purpose (beyond simply telling time). We had a clock for my son Zachary, which we liked. It used a red light and a green light to tell him if he could get up or not. The problem was that the clock mechanism was horrible, and I thought it would have been good to have a yellow light to give him an indication that it’s getting close to time to wake up. There is an Arduino based kit that you can build called the Wise Clock, of particular interest is that it has 32x16 red/green LED for a display. I wrote an entire clock including the UI for the settings screen over a few weeks. The clock works by normally displaying the time in green, but by choosing one of the predefined alarms each night the clock changes to a red screen with the time inverted. As the alarm time nears the clock turns to orange (because red+green=orange). Then finally after the alarm time it returns to green. I supported this clock project on Kickstarter. 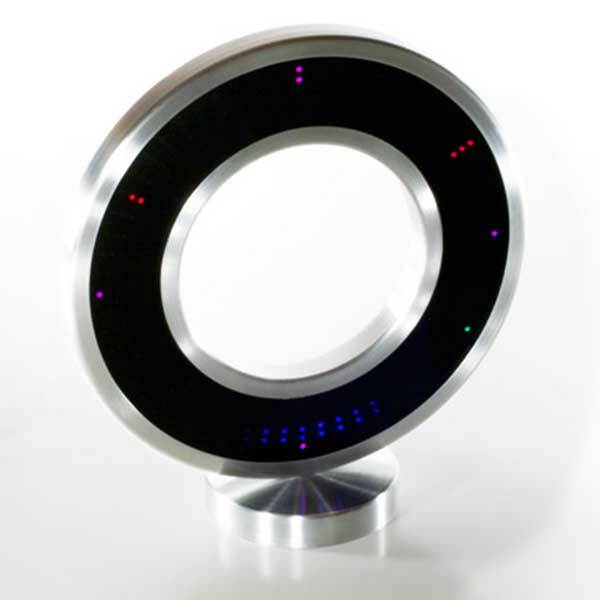 It’s a clever concept with three concentric rings of RGB LEDs with an Arduino compatible board. This is the only clock that I didn’t have to solder and build.